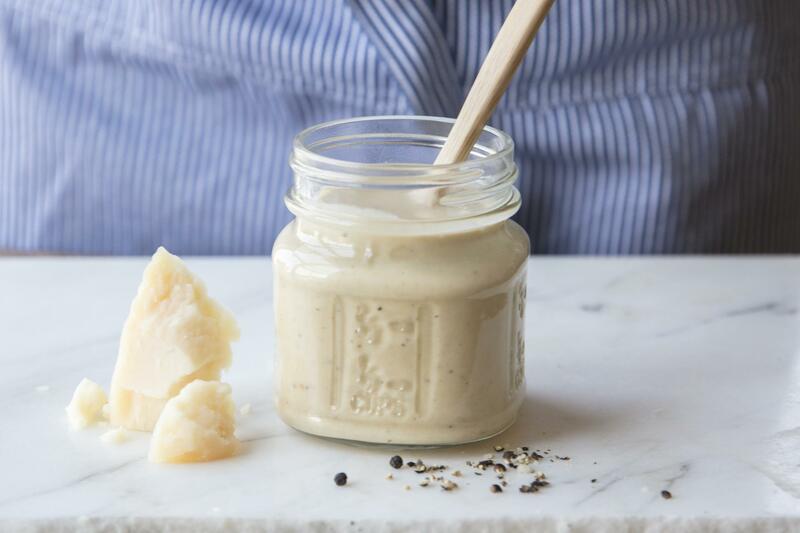 Classic Caesar dressing with a Cypress Grove twist: Lamb Chopper® cheese! Use this dressing as a dip or on a salad with our Midnight Moon® crisps. Place anchovies, Dijon mustard, Worcestershire sauce, garlic, lemon juice, and sugar into a blender or food processor. Pulse using the food processor or blend on low speed for several seconds. Use a spatula to scrape down the sides a few times to get all the little bits incorporated. With the food processor or blender on, slowly stream the olive oil into the mixture. Add the Lamb Chopper, salt, and black pepper. Pulse everything together and mix until thoroughly combined. Refrigerate before using it on a salad or as a dip.